Chad Kelly (l.) and Joe Mixon have been excluded from the combine. The list of players invited to the NFL’s annual scouting combine did not include Oklahoma running back Joe Mixon, who was seen on video punching a woman, and Mississippi quarterback Chad Kelly, who has a history of off-field incidents. Consistent with the league’s increasingly strict policies toward conduct, the NFL has decided to “punish” these players for past behavior by denying entrance to the job fair. These exclusions and others, however, represent a pyrrhic victory and point to the inherent conflict between league and team interests. Without buy-in from team management and coaches, the NFL can only do so much to legislate personnel decision regarding players with troubling issues from the past. NFL policies are impactful only from a theoretical point of view. The reality is that league policies, exclusions or otherwise can only have a limited impact. And the NFL will not go down the rabbit hole of telling teams what to do in player acquisition, especially regarding draft selections. The league office works for the owners (teams); it is hard to envision a day when NFL officials meddle with team decision-making in player personnel. Two years ago—and on the heels of the Ray Rice video and stepped-up domestic violence policies—the Seahawks drafted Frank Clark in the second round (their top choice) despite Clark’s disturbing domestic violent incident while in college. General manager John Schneider insisted the team had properly vetted Clark yet, when pressed further in a radio interview, Schneider could not help himself. “We knew there weren’t going to be any pass-rushers left, and we needed to grab one as soon as we could,” he said. Similarly, Cardinals general manager Steve Keim had a telling quote last year (that he probably regrets saying): “If Hannibal Lecter ran a 4.3, we'd probably diagnose it as an eating disorder.” The words of Schneider and Keim illustrate the inconvenient truth for the league office: teams will look past questionable conduct if the talent merits it. While there may be teams that will resist drafting Mixon and/or Kelly for character reasons, they will be drafted amid “second chances” spin while league officials cringe. It only takes one team. A final memory regarding combine invitations: in 1998, I represented a quarterback from Boston College who was not invited despite my calling every NFL scout I knew. One even said that my client had no chance and was “just a guy.” Matt Hasselbeck went on to play 18 NFL seasons before retiring last year. The combine is just another obstacle along the way for so many undervalued players. Just like every year in the recent past, Darrelle Revis is in the news during the NFL offseason. This time, however, his story is not about him seeking some upward adjustment of his contract, but rather, the team (Jets) looking to run away from his contract. And his situation comes with a twist: Revis faces four felony charges (two for aggravated assault, one for robbery and another for conspiracy) and a misdemeanor (making terroristic threats) from an incident outside a Pittsburgh bar last week. As a former front office executive, my first reaction upon hearing the news of his alleged violent encounter was to think as the Jets’ front office was surely thinking: they were wondering what it would/could mean for his contract. Even before the incident, there were rumblings that the Jets would move on from Revis only two years after his splashy 2015 signing. The narrative on that contract, as it has seemed for all Revis’s contracts, was that he had once again fleeced the team, fueling the image of Revis as a contract savant in a business heavily tilted against players. 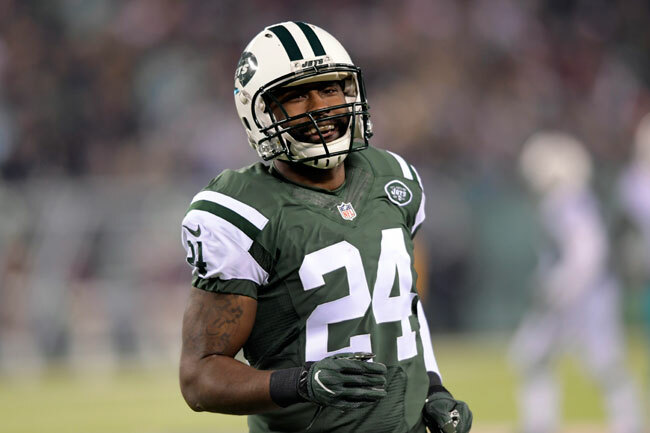 The reality of the deal is that its security and strength, despite Revis’s extraordinary leverage as a free agent, make it vulnerable to the Jets’ wishes. The contract had two fully guaranteed years (out of five) and a $6 million partial guarantee of a scheduled $13 million salary for 2017. That guarantee is subject to offset, meaning the Jets are off the hook for amounts up to $6 million from a new team if Revis were released and signed elsewhere. Perhaps even more importantly, that guarantee is subject to void due to either league discipline under the conduct policy or, according to a source, team discipline for the catch-all “conduct detrimental.” In spite of Revis’s leverage, the Jets were able to negotiate a deal with protections for on-field decline and off-field behavior. With these protections, not only is the NFL “looking into” the Revis incident but the Jets are almost certainly doing the same. Discipline from either the league or team could void the guaranteed security of that $6 million, leaving only nonguaranteed money that may soon be terminated prior to a March 11 roster bonus. And although the NFL has never been expedient in applying discipline under the conduct policy, the Jets can act under their own timeframe. Here, though, is where the lawyers come in. Were the Jets to discipline Revis before March 11 and rely on such discipline to void the guarantee, well, there will be lawyers challenging their hasty determination of his actions. Similarly, if the Jets do not discipline Revis before releasing him but, after investigation and discipline from the league weeks or months later, make the argument for voiding the guarantee then, well, there will really be lawyers, arguing the fact he was released without discipline, whereupon the Jets’ rights to void vanished. In either event, however, the publicized $70 million contract between the Jets and Revis in 2015 will end up costing the team—assuming a release before March 11—between $27 and $33 million. Thus, there are two truisms coming from the Revis imbroglio: 1) there will be lawyers, and 2) Revis’ conduct and contract may well not be what they originally appeared to be.